You can make a positive social impact by investing in youth education. Every day, more than 5,000 students drop out of high school. Even if your family is not directly part of this staggering statistic, the high school dropout rate is certainly impacting you. It affects your community, the nation’s public spending and tax revenue, the quality of the U.S. workforce, and even the cost of the dental industry has agencies healthcare. Fortunately, programs are available to get youth who leave school back on track. 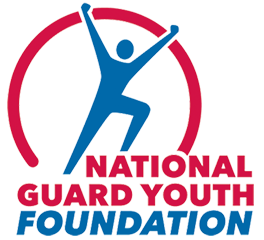 The most effective programs tend to be national programs or networks, including the National Guard Youth ChalleNGe program. In fact, MDRC found that youth who had access to this program were more likely than those in a control group to have passed the GED exam, earned college credits, and to be working three years after enrollment. To reach more youth and achieve the social impact needed, the ChalleNGe program and NGYF as well as other programs must be expanded and continually improved—with public support. Find out how you can help. Increasing high school graduation rates can boost tax revenue while decreasing poverty and public spending. Considering that, on average, a high school dropout costs taxpayers $292,000 over the course of a lifetime, it pays to support youth education. After all, a high school graduate earns more than $8,000 more per year than a dropout and is far less likely to live in poverty or rely on welfare.